Mike Joyce went undrafted, but he still got offers from three teams in 2002, including the Yankees and scout Steve Swail. Joyce chose to sign with Swail and the Yankees, according to The New London Day. "People have been telling me they have a contract with adidas and they treat their people real well," Joyce told The Day. Swail signed Joyce as a scout for the Yankees. Years earlier, it was Swail who was the one signed as an undrafted free agent. Swail played six seasons as a pro. He never made the majors. 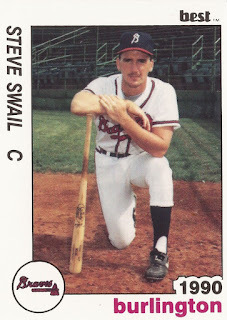 Swail's playing career began in 1989, signed by the Braves out of North Adams State in Massachusetts. At North Adams, now the Massachusetts College of Liberal Arts, Swail played three seasons. He hit a two-run home run and knocked a single in an April 1988 contest. He helped his team to two conference championships, one in 1987 and the other in 1989. In his final season, the captain Swail helped lead his team to a 19-9-1 record. He made the school's Hall of Fame in 2009. 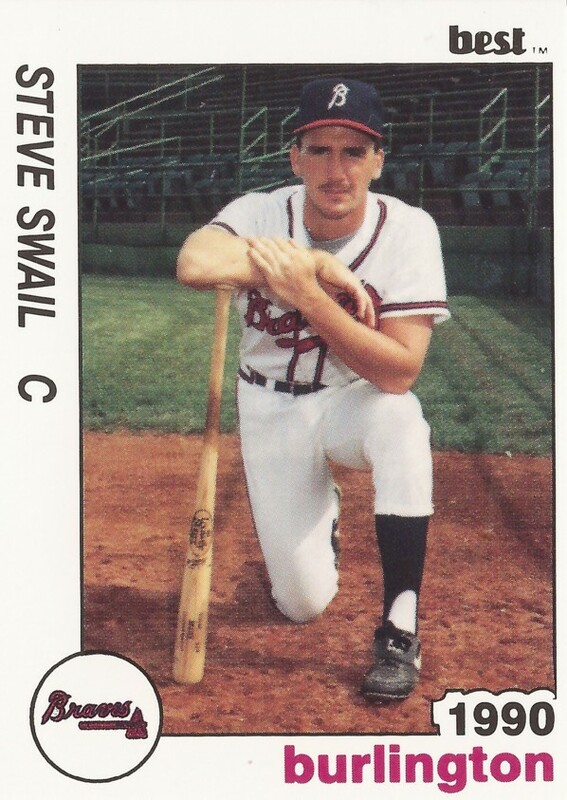 With the Braves, Swail played his first season at rookie Pulaski. He hit .218 with 6 RBI over 31 games. For 1990, the catcher moved to single-A Burlington, hitting just .147. He moved to high-A Durham in 1991, then played 1992 between single-A Macon, Durham and AA Greenville. His 1992 season, though, ended up being just 19 games between those three levels. In 1993, Swail got the most games in a season of his career, 48. He hit .263, getting the only home run of his professional career. Swail finished his career in 1994, with 38 games back with Greenville. Swail soon turned to a new career, scouting. In July 1995, Swail was named as a scout for the Diamondbacks. He continued with Arizona through 1999, then moved to the Yankees.